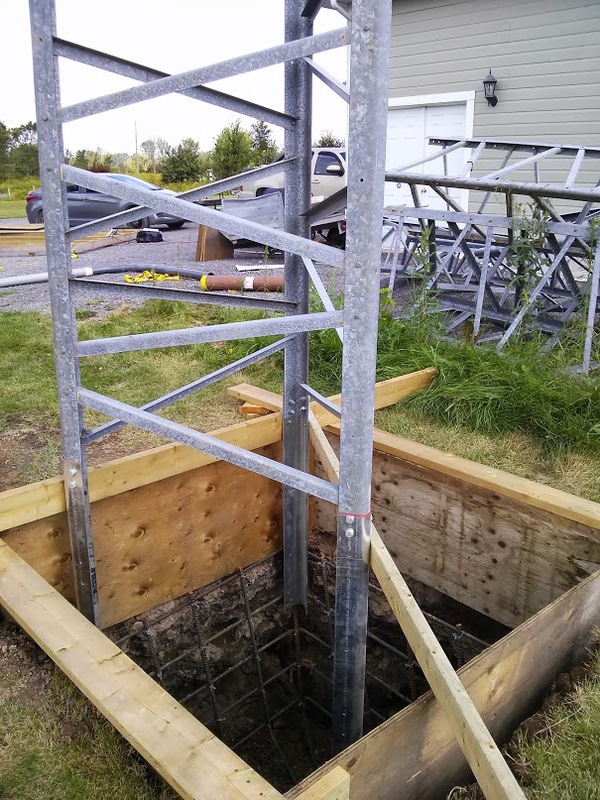 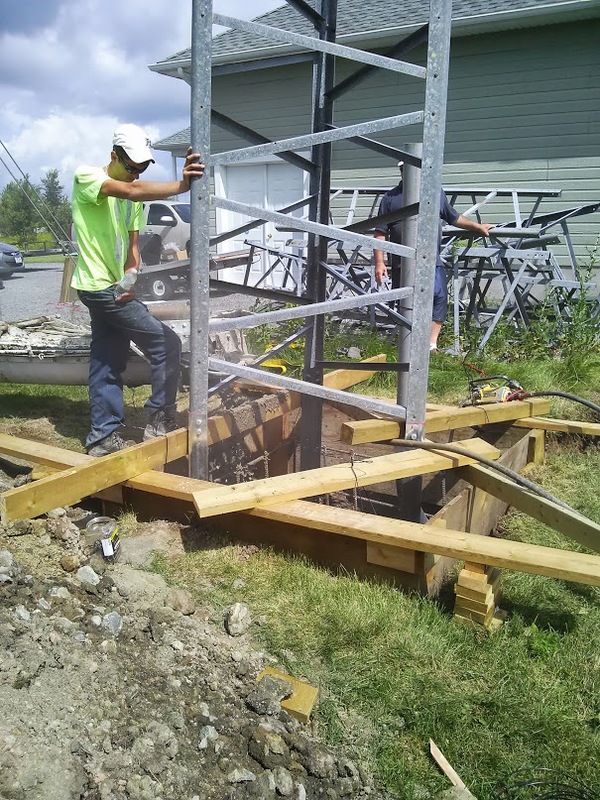 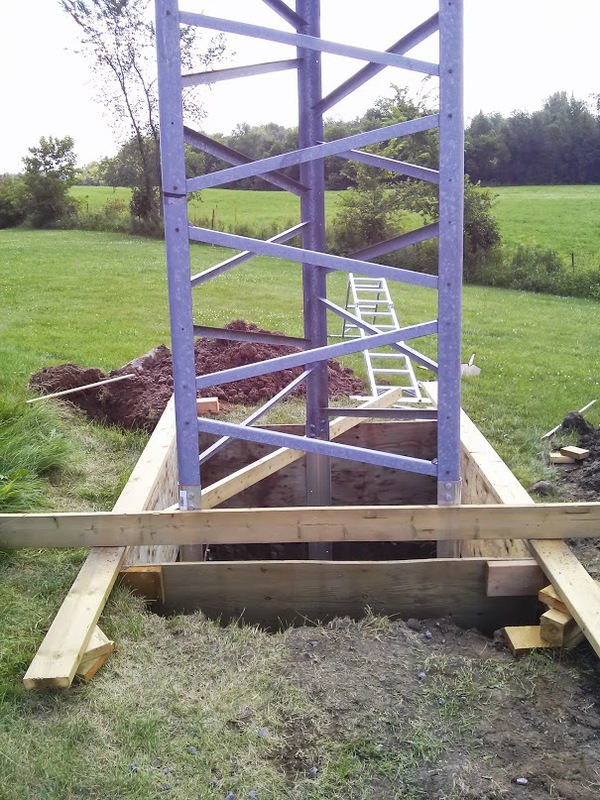 Thanks to the help of Norm VA3NPL the tower is sitting in it’s new permanent resting place on the side of the QTH. 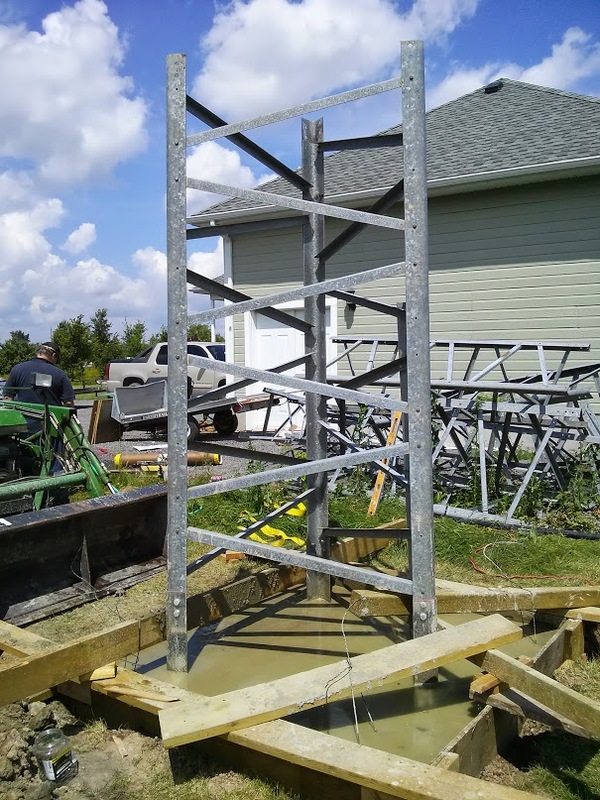 The only thing I would have done differently would be how I braced the tower section. 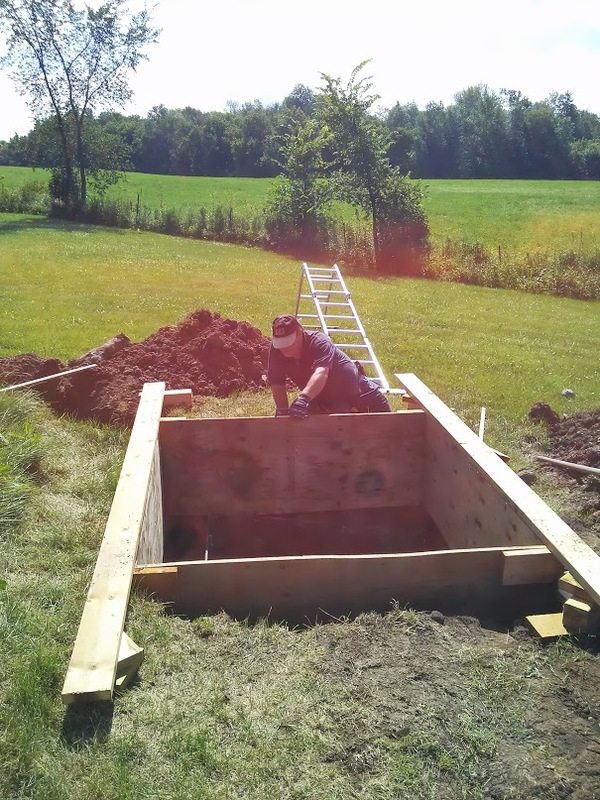 I calculated the depth of the legs using a 2×4 but used a 2×6 instead. 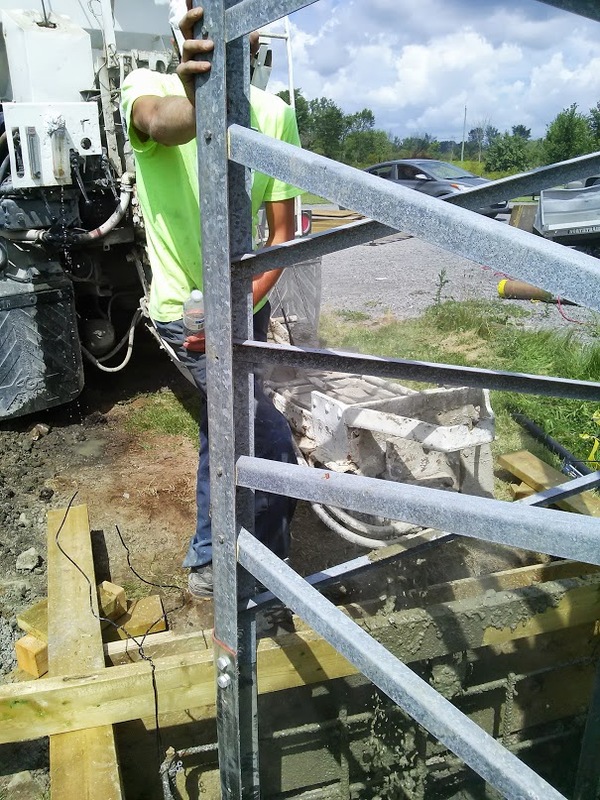 Causing the tower to be 2″ higher out of the concrete then I would have liked. 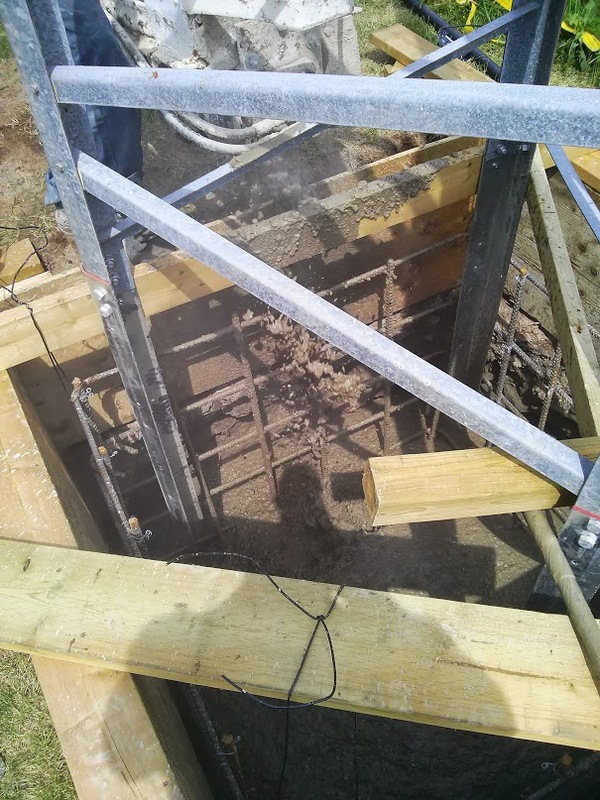 Couple that with the fact that the hole was slightly larger because one of the sides caved in abit the 7 yards of concrete fell about 3″ too short of the ” FULL ” mark in the form. 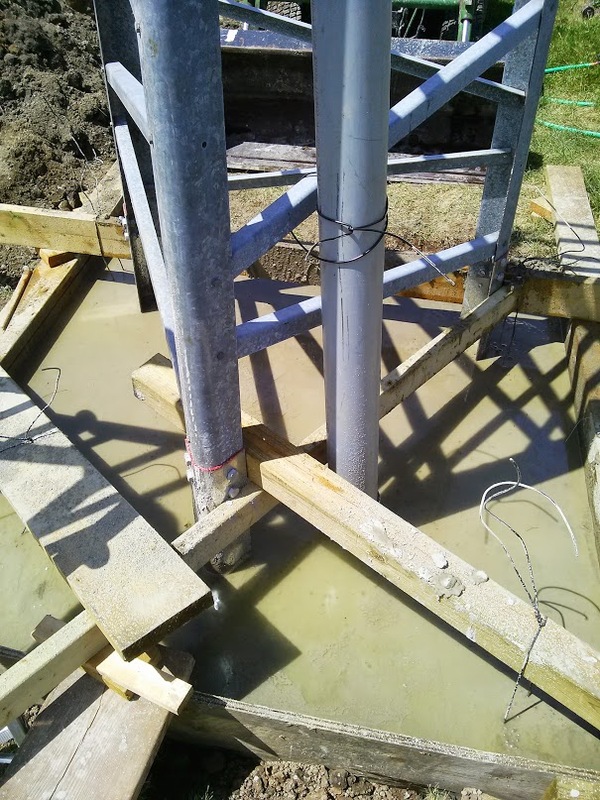 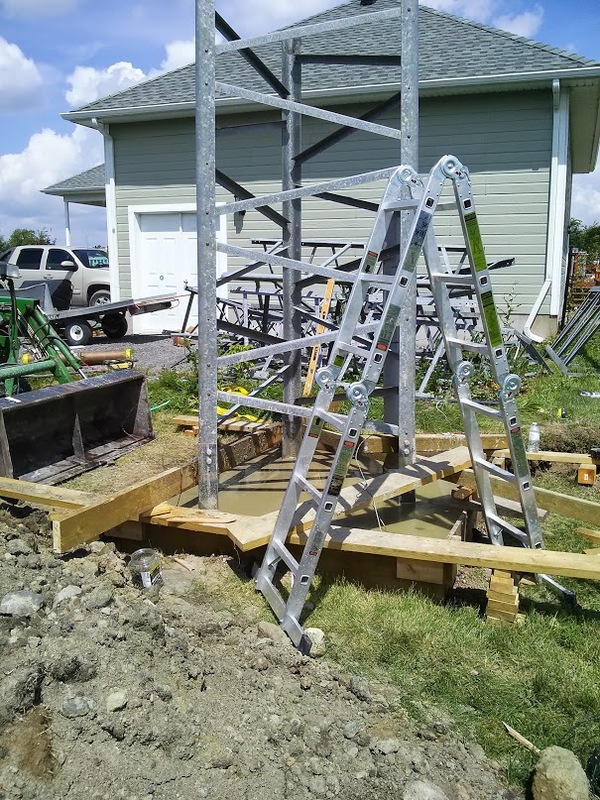 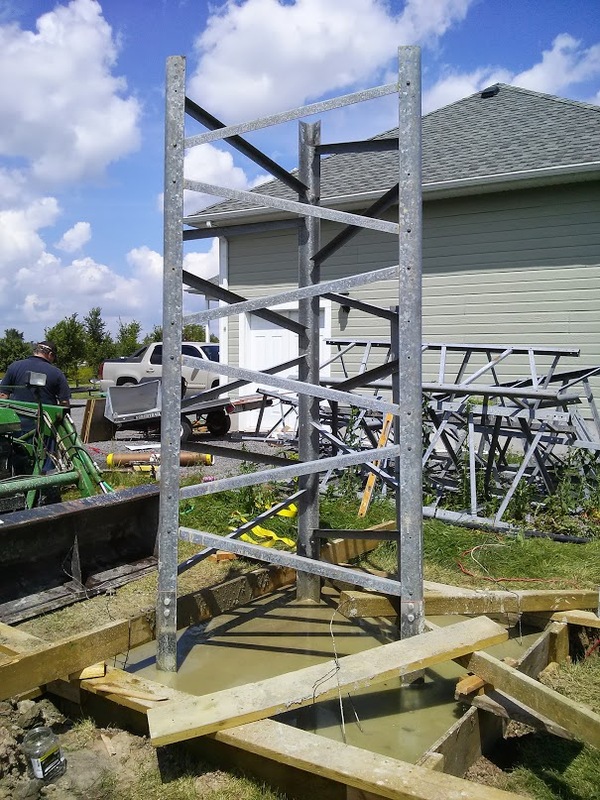 As you’ll be able to see in the pictures overall the legs are sticking out about 10″ Not the best but considering there is just shy of 25,000lbs of concrete below it I’m not too worried. 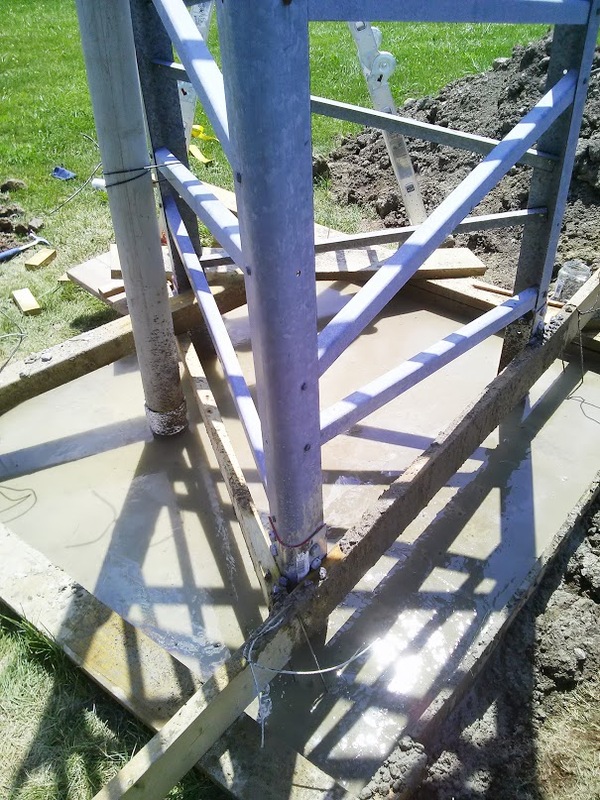 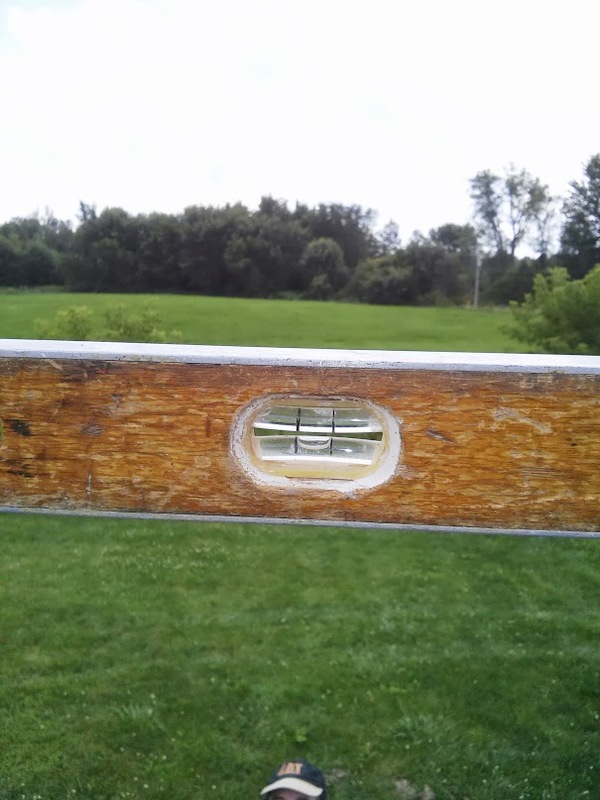 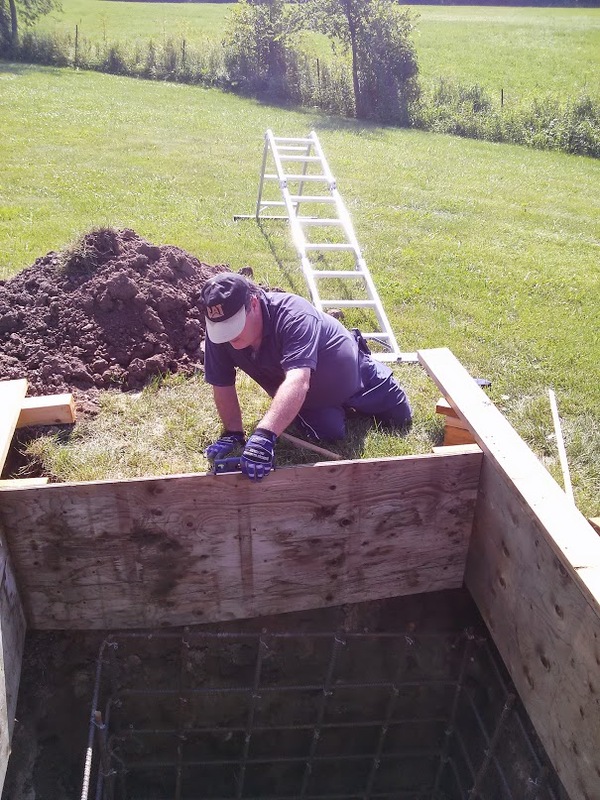 I have installed a 4″ conduit that will lead directly to the shack to help with pulling cable and making my life a heck of alot easier when it comes time to run that 1 7/8 hard line.